This is quite common problem that you see a file with some unknown extension and you don’t even know which program to use to open it. 1. 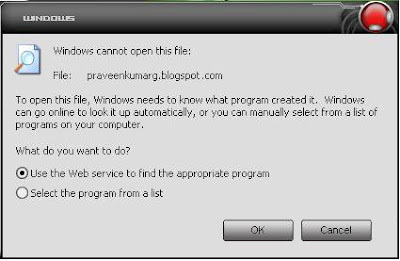 Double click on the file and Select “Use the Web Service to find the appropriate program”.This method will call a web service by Microsoft which lets you find out which program is suitable to open the file with unknown extension. 1. Open the site www.filext.com in your browser. 3. Press Submit Query button, you will see a new page containing all the information about that file extension. 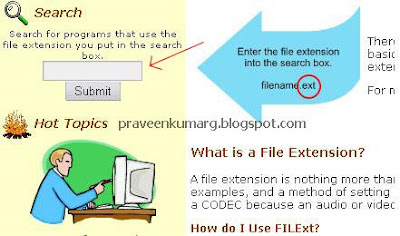 FilExt will display the complete description about that file extension and the program required to open that unknown file extension. If you have got some more Ideas Plz Share it here….